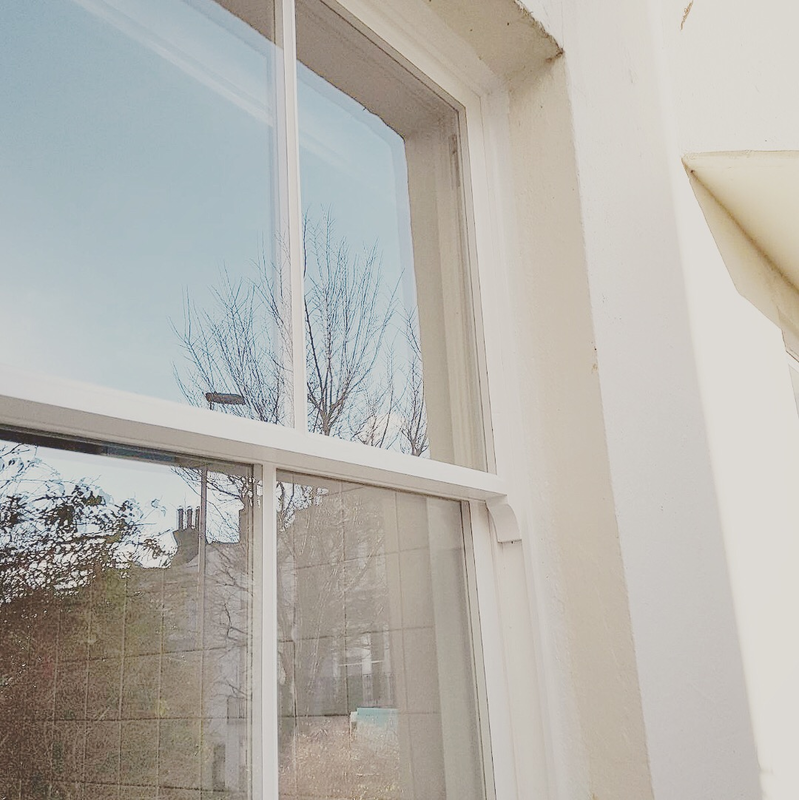 We love nothing more than to see a happy customer after we’ve successfully restored an existing sash window for them; to see it go from looking tired and damaged to fully repaired and functional once more. 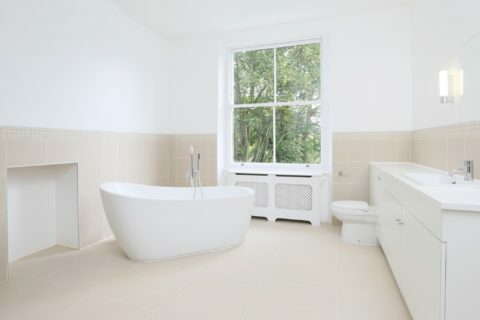 Here we have a recent job carried out on a sash window situated at the rear of a Victorian property in Hove. 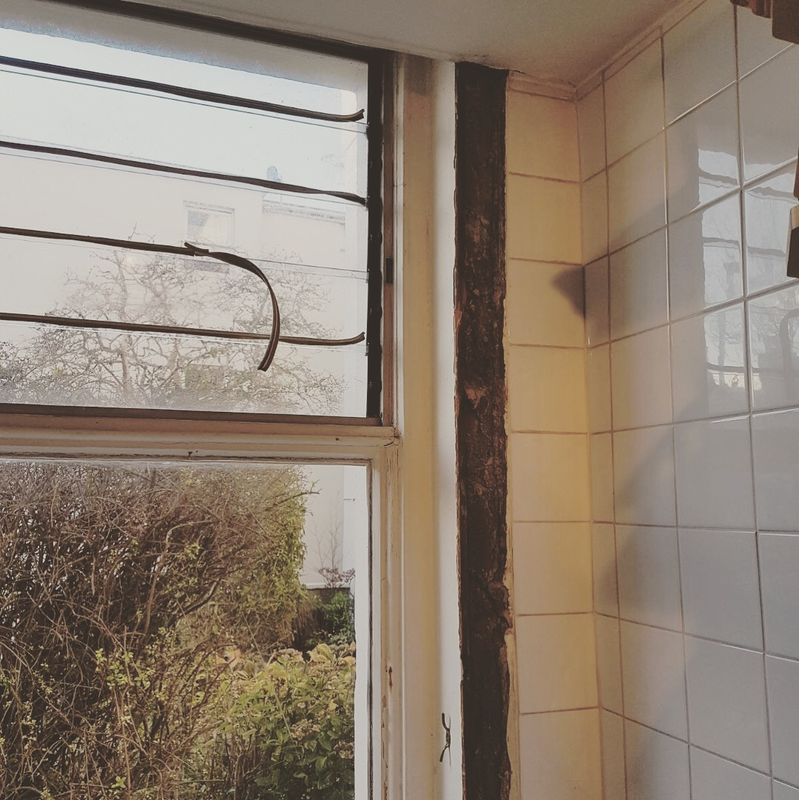 The existing window had serious rot under the surface and secondly was not to the customers liking visually (it was a modern window which, as well as looking out of place, had become damaged and rotten in no time at all). The customer asked us to completely remove the existing damaged window and install a new double glazed box sash window. 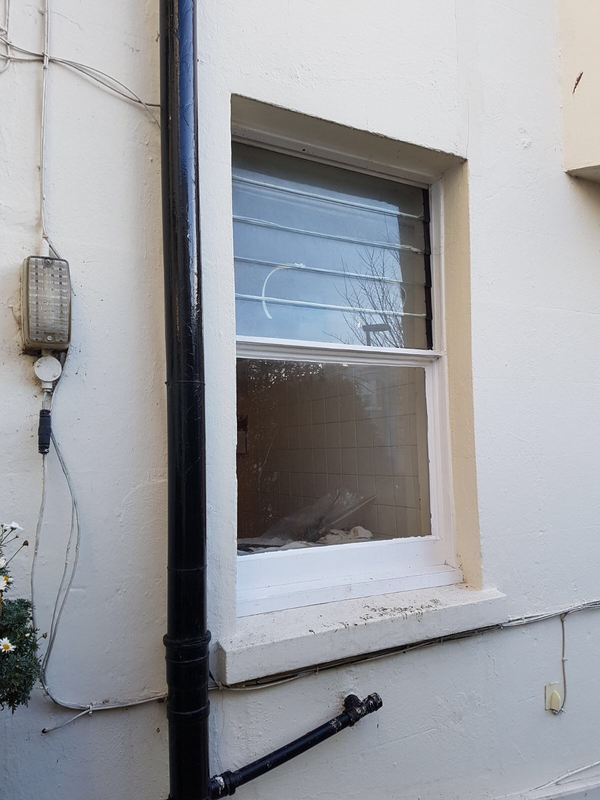 After our initial quotation was accepted, we arranged a second appointment to measure the window and determine the exact requirements of the job. A second appointment also allows us to talk through the work in more detail with the customers and answer any questions or concerns they may have. When we had all of the details we needed we returned to our joinery shop and got to work. We created a bespoke box sash window, then painted and glazed it ready for the install. Having arranged a time that was convenient for the customer, we arrived with the window ready to fit. The first and most important step of the day is to ensure that the kitchen was fully protected and ready for us work in. We make it an absolute priority to keep our customers’ rooms, surfaces and floors protected and dust free when working, so that they can be used and enjoyed gain from the moment we leave the premises – as if we never there in the first place (the only clue that we’d visited being a nicely restored window and a smiling customer!). 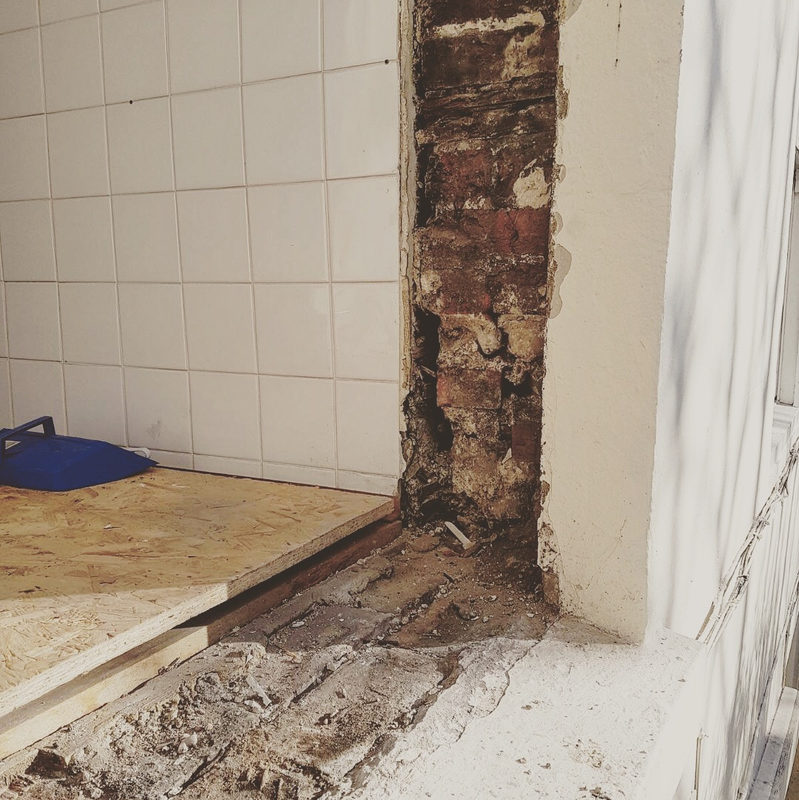 We removed the existing rotten window and prepared the surrounding brick work ready for our new bespoke sash. 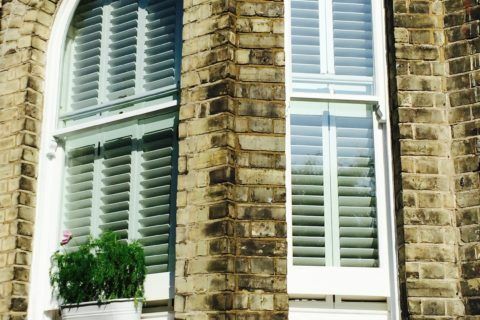 When the space was primed and ready, we installed the new window, taking time to ensure that it was functioning perfectly and fully draught-proofed. When we were happy with the final result, we cleared out all of our tools and gave the kitchen a thorough clean so that the customer could begin using their kitchen again straight away without any fuss. 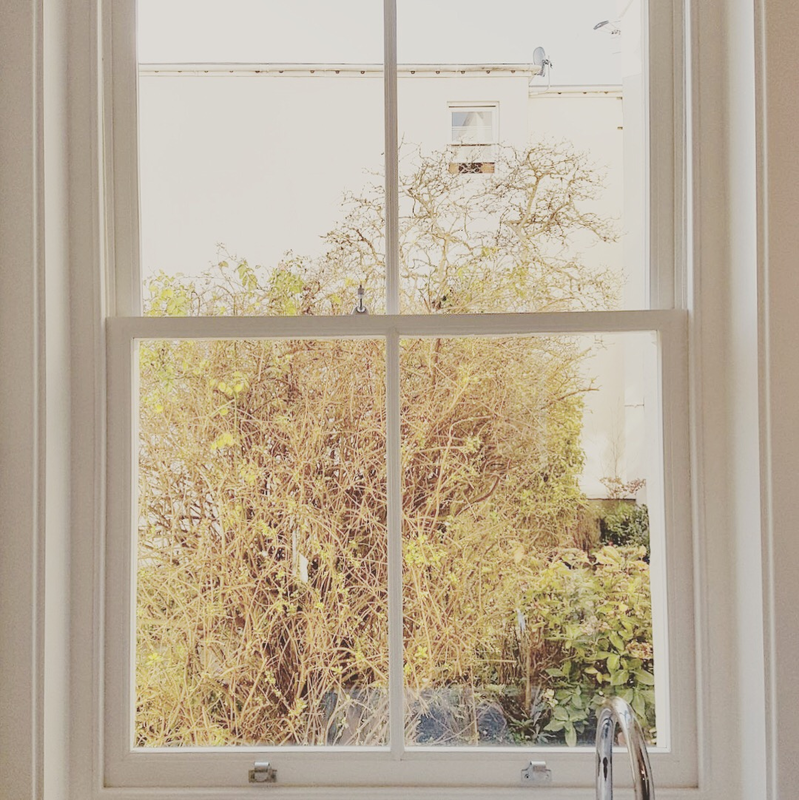 Their new window is now more in keeping with the rest of the property’s sash windows, whilst being double glazed the kitchen is now much warmer than it used to be. Now from the outside, the new window sits perfectly in the surrounding façade, complementing the other existing box sash windows. 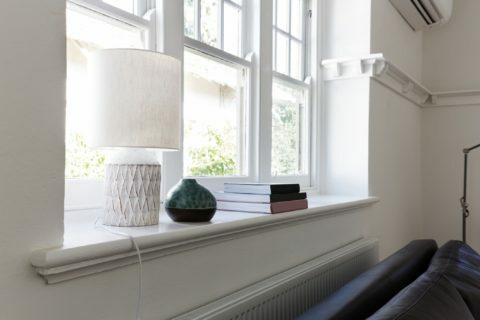 For us, removing poorly made modern windows and restoring original Victorian features with modern materials – that’s the most rewarding part of this job!